I would say, call them before anyone else. They were on time and on budget. I have three children and that makes a difference. They called us if they were going to be late, and always kept us in the loop. They were very good and very knowledgeable. The person who came out was very nice and very helpful. He was very professional and reasonable. He took a difficult situation and turned it around. I feel they provided me with great customer service. Their attention to detail was great, and they left everything pristine. I'm a senior citizen on a limited income, and I felt very safe with them in my home. The price was right, and the great customer service was very important to me. 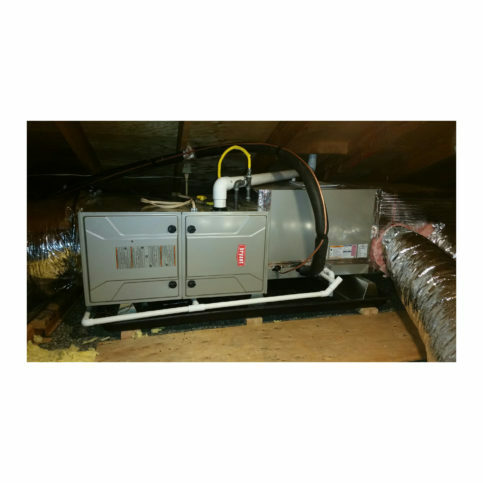 All Weather Heating & Air Conditioning Inc. provides services that include the installation and repair of heaters, furnaces, and air conditioners; HVAC maintenance plans; duct cleaning; and the installation of humidifiers, ventilators, and electronic air cleaners made by industry leader Bryant. The company serves residential and commercial clients in Solano, Napa, Sonoma, Yolo, and Contra Costa Counties. DIAMOND CERTIFIED RESEARCHED CAPABILITIES ON All Weather Heating & Air Conditioning Inc.
Company Name: All Weather Heating & Air Conditioning Inc.
DIAMOND CERTIFIED RESEARCHED ARTICLES ON All Weather Heating & Air Conditioning Inc. Owner Gil Medrano Jr. prefers working in the field instead of sitting behind a desk. "Everything we do is based on three principles: integrity, honesty and fairness. We do whatever it takes to find solutions to our customers' HVAC problems. At the end of the day, we want them to feel like they got exactly what they asked for." All Weather Heating & Air Conditioning has been providing services that improve indoor air quality for residential and commercial clients in Solano, Napa, Sonoma, and Contra Costa Counties since 2003. 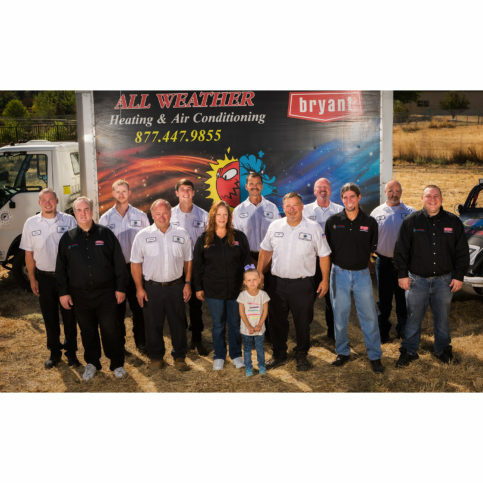 The company primarily focuses on installing humidifiers, ventilators and electronic air cleaners made by industry leader Bryant, but it’s also qualified to repair, install and maintain all types of HVAC systems. Mr. Medrano says the best air filtration systems capture airborne particulates like molecules, gasses, formaldehyde, chloroform, mold, mildew, algae and pollen. “MERV filters attack these molecules, oxygenate them and turn them into air that’s safe to breathe.” Other air sanitizing systems use ultraviolet lights to scrub and sanitize air as it passes through the filtration systems. If you’re in the market for a new HVAC system, make sure the one you choose has features that are designed to improve indoor air quality. Then, hire a qualified contractor who can install the system to code so it operates correctly. If your existing system still works well, there’s no need to replace it. “You can retrofit for better indoor air quality,” says Mr. Medrano. “The first step is to make sure your existing duct system is sealed. If your duct system leaks and draws in contaminated air, it’ll spread that air to your home.” Duct leaks in attics, crawlspaces, garages or between walls can bring in toxins, diseased air, mold, allergens and other particles you don’t want to breathe. Q: How much does a new HVAC unit cost? A: It depends on the size of your home and your preferences. In order to determine exactly what you need, our technicians will come to your home and provide a free estimate for the expected cost of your installation. A: Yes, we charge $79 to diagnose any existing equipment that needs to be serviced or repaired. Q: Do you make appointments or give a service window? A: We provide a service window—it’s usually two hours, but on very busy days, it can be as much as four hours. We always confirm appointments the day before, and we’ll call when we’re on our way or if we’re running late. We want our customers to get the best possible service, so our technicians only take one call at a time, which means they don’t have to hurry through an appointment. Q: Do you offer an annual maintenance service? A: Yes. 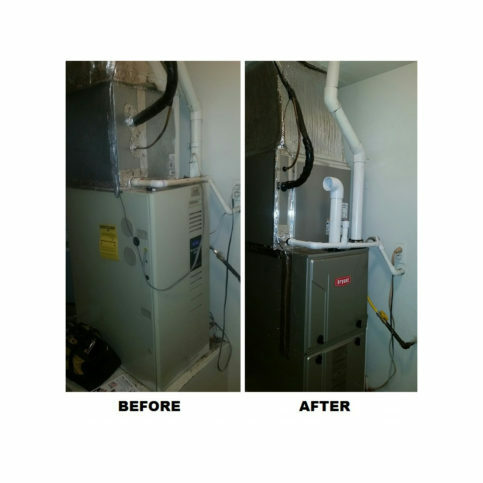 Our annual maintenance contract includes a tune-up for the furnace in the fall and the air conditioner in the spring, and participants never pay fees for service calls. Q: Can you tell me if my furnace or air conditioner is safe to run or needs to be replaced? A: Yes, we’ll come to your home and provide that service at no cost. 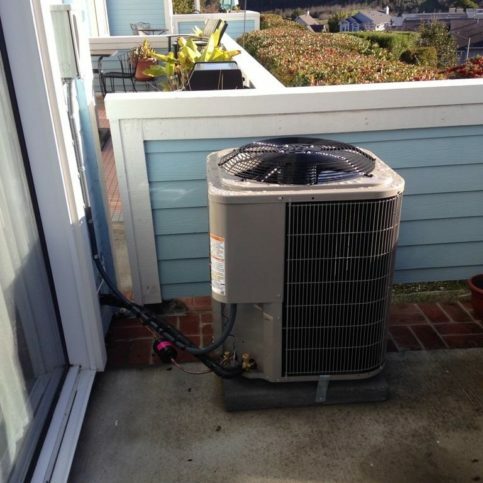 SELECTED PHOTOS FROM All Weather Heating & Air Conditioning Inc.
All Weather Heating & Air Conditioning installed this air conditioner at an apartment in Benicia. Senior installer Mark F. (left) and owner Gil Medrano Jr. check a new installation. All Weather Heating & Air Conditioning replaced the old air conditioner on the left with the new Bryant air conditioner on the right. 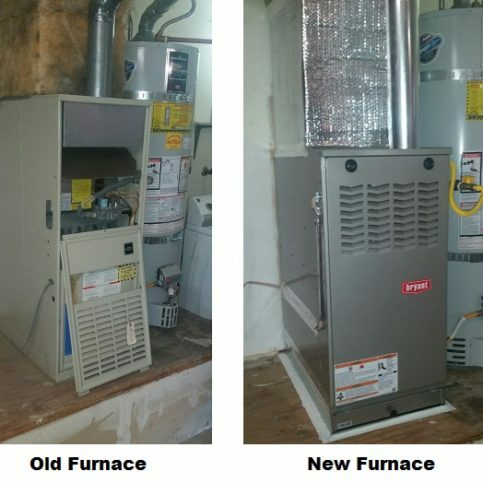 All Weather Heating & Air Conditioning replaced the old furnace on the left with the new Bryant high-efficiency furnace on the right. 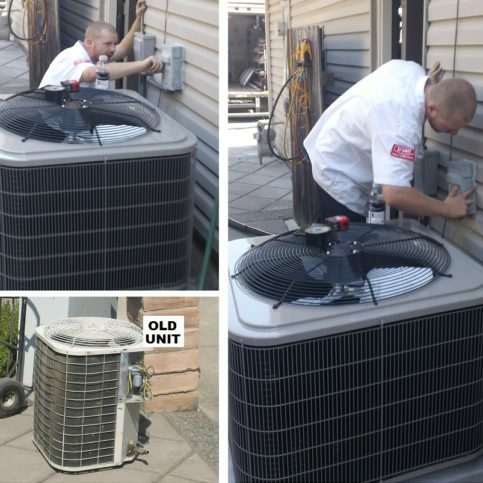 Installer Mike B. installs a new air conditioner in Vacaville. Senior installer Dan C. gets ready to place a furnace into its installation spot. DIAMOND CERTIFIED EXPERT CONTRIBUTOR ADVICE & TIPS FROM Gil Medrano Jr.
Gil Medrano Jr. is a 30-year veteran of the HVAC industry and owner of All Weather Heating & Air Conditioning Inc., a Diamond Certified company. He can be reached at (707) 200-1319 or by email. It was a long road to reach his desired professional destination, but Gil says it was the best route he could’ve taken. “I’ve always wanted to have my own business, and I considered going for it a couple of times early in my career. However, in hindsight, I can see that I wasn’t ready. Later, I went back to school and got my bachelor’s degree in electronic engineering, which advanced me in the field and equipped me with a lot of valuable knowledge.” In 2000, Gil obtained his contractor’s license and soon thereafter achieved his dream of business ownership. A: Escargot. We were on a cruise and they brought some out, so I decided to try it. It was pretty good. A: I’m a huge fan of the “Star Wars” movies. 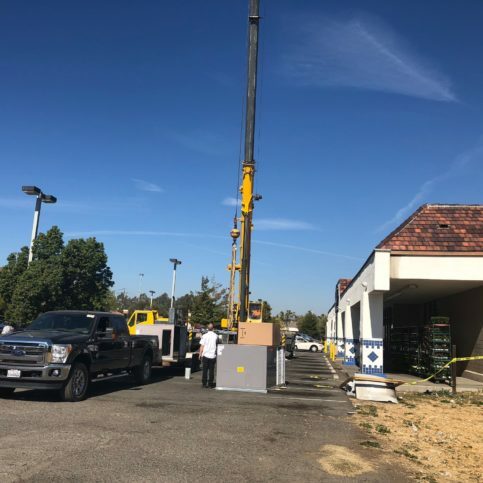 VACAVILLE — When replacing your home’s heating and cooling unit, it’s critical to also address your duct system. Ductwork is responsible for distributing air throughout the home, which is a function that directly impacts the central unit’s performance. By addressing your ductwork in unison with central unit replacement, you can ensure proper functioning of your HVAC system as a whole. To understand the crucial role ductwork plays in HVAC unit efficiency, you’ll need to learn a little bit about how it works. A duct system has two sides: the “return,” which is responsible for drawing in air and pushing it through the central unit, and the “supply,” which carries the air into each individual room throughout the home. Since an HVAC unit has a specific airflow design, when the ductwork’s return is undersized, it restricts the amount of air the unit is able to draw in and push through to the supply side. This causes the unit to work harder than it’s designed to, which hampers efficient performance and creates potential mechanical problems. So, when replacing your central unit, it’s important to assess your ductwork and make sure it’s properly sized—only then will it be able to achieve the level of efficiency you’re looking for. 1. Change your furnace filter. The most important thing you can do independently to promote your HVAC system’s health (not to mention your own) is replace your air filter on a regular basis. Depending on the type of filter you use, it may need to be changed as often as once a month. Here’s an easy way to remember this critical maintenance step: When you get your utility bill each month, check your air filter to see if it needs to be replaced. 2. Schedule an annual service appointment. The other vital aspect of HVAC maintenance requires the aid of a professional: having your system inspected once a year. During the inspection, your technician will look at several different things. For your heating system, he’ll make sure the gas pressures are accurate, the system is burning safely and there are no gas leaks. Additionally, he’ll clean the burners, fan motors and indoor coils, which will keep your system functioning efficiently. 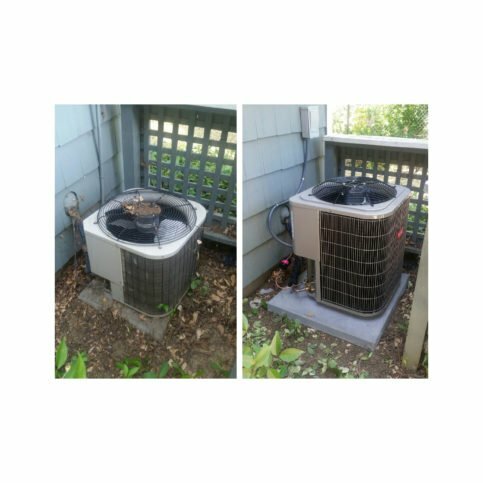 On the air conditioning side, your technician will clean the outdoor unit, coils, fan blades and other system components. He’ll also check and tighten the electrical connections, which will promote efficiency and help prevent potentially dangerous electrical shorts and/or arcing. 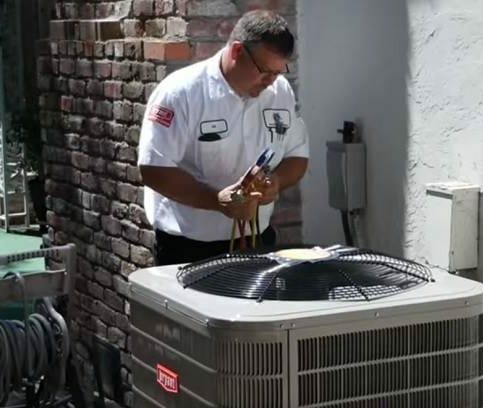 By addressing these two key areas of HVAC system maintenance, you’ll enhance your home’s air quality and increase the lifespan of your system, all while saving money on your energy bills and avoiding costly repairs. 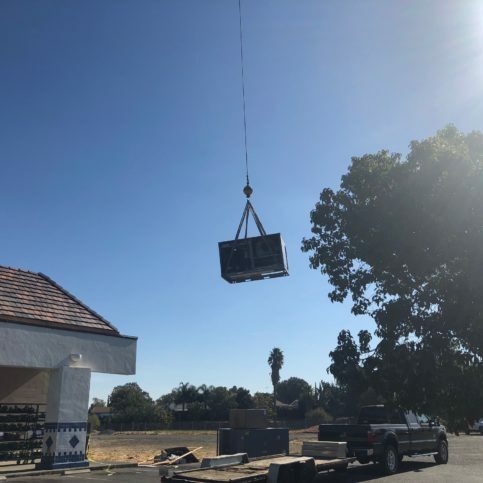 VACAVILLE — Host, Sarah Rutan: If you’re planning to install a new HVAC system, don’t overlook the importance of properly sized ductwork. Today we’re in Vacaville with Diamond Certified Expert Contributor Gil Medrano of All Weather Heating & Air Conditioning to learn more. Diamond Certified Expert Contributor, Gil Medrano: When replacing your heating and cooling system, it is very important to make sure you address your ducting system, considering it is the distribution of your air flow. There are two sides to the ducting system with your heating and air conditioning. The first side is the return which is responsible for drawing air and pushing it through the machine. The second side of your ducting system is your supply side which carries the air into each individual room. When your return ducting system is undersized, it doesn’t allow the furnace to draw in enough air flow to push through the unit and supply air into the home. You can compare this to the miles per gallon in a car. If you have a car that’s rated at 25 miles per gallon, that rating is at the speed limit. If you drive faster than the speed limit, the miles per gallon obviously drops. Airflow is measured in CFMs. And when the airflow is down, the efficiency of your heating and cooling system is down. Not to mention the fact that it’s hard for your system to work properly when the airflow is being choked off. It’s a mechanical piece of equipment. 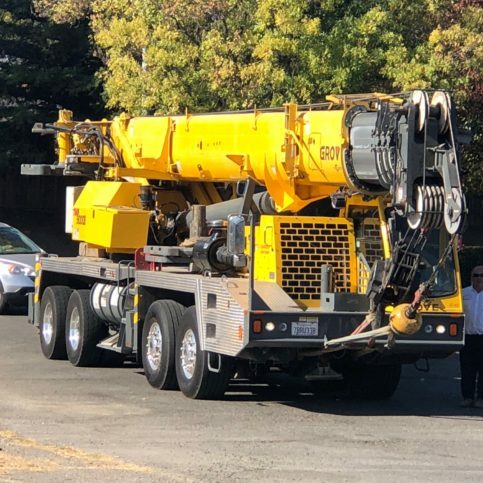 It’s got a specific airflow design, and when that system is compromised, it causes the machine to overwork, which can create mechanical problems as well as efficiency issues. So, when replacing your heating and cooling system, it’s very important to make sure that your ductwork is properly sized so that you can achieve the efficiency that you’re looking for. 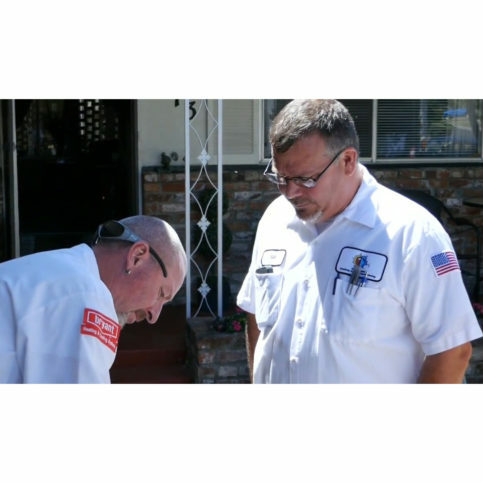 VACAVILLE — Host, Sarah Rutan: To maximize the efficiency of your heating and cooling system, you’ll want to address a couple of basic maintenance aspects. Today we’re in Vacaville with Diamond Certified Expert Contributor Gil Medrano of All Weather Heating & Air Conditioning to learn more. Diamond Certified Expert Contributor, Gil Medrano: Okay. So, today, I would like to talk to you about the importance of maintaining your heating and air conditioning system. As a homeowner, the most important thing you can do, is to replace your filter on a regular basis. Filters are supposed to be replaced every month. So, as a tip, what I tell my customers, is when they get their utility bill, check your air filter, and replace it as needed. Now, the other thing that needs to be done, is to have your system serviced by a qualified contractor every year. 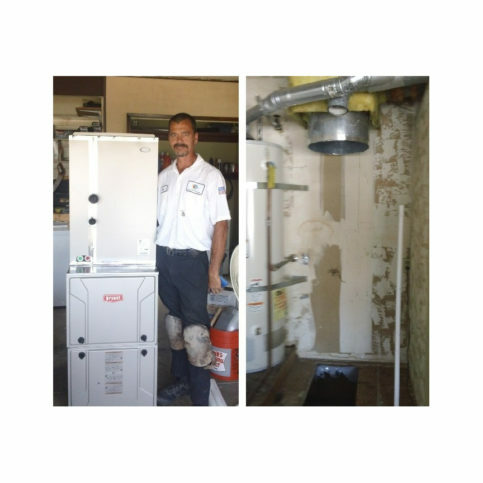 Your furnace needs to be tuned up annually, as well as your air conditioning system. On the heating side, we’re checking the gas pressures. Making sure the gas pressures are accurate, to make sure that the system is burning properly and safely. We’re checking to make sure that there’s no gas leaks, and that there’s no carbon monoxide leaks. We’re cleaning the burners, we’re cleaning the fan motors, and cleaning the indoor coils. These things are required to maintain efficiency. When these systems are not maintained, the debris builds up internal to the system where you can’t see it. It plugs up and restricts the airflow, and can cause costly repairs which are unnecessary. Not to mention the fact that the efficiency of your machine drops dramatically, which will of course cause your utilities to increase. 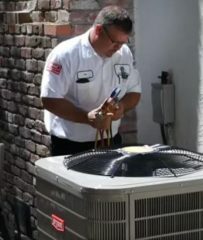 On the air conditioning side, we’re going to keep that outdoor unit clean, keep those coils clean, keep those fan blades clean, and check and tight electrical connections. This is also important to maintain efficiency, and to minimize costly repairs. Keeping the electrical system tight and secure can also prevent potentially dangerous electrical shorts and/or arcing, which can occur from the electrical being not tightened properly. Host, Sarah Rutan: To learn more from local top-rated companies, visit our Diamond Certified Expert Reports at www.experts.diamondcertified.org. Diamond Certified RATINGS ON All Weather Heating & Air Conditioning Inc.
All Weather Heating & Air Conditioning Inc. : Average 9.3 out of 10 based on 150 unique customer surveys of customer satisfaction. I have already given their magnet to a friend, and they have called them. They were fair and thorough. They did the job on time, on estimate, and they followed through with the service call. They did what they were supposed to do. We had various things that needed to be done after the inspection. They did good, and everything passed inspection. They came out and got everything up to code. We called them because our heater wouldnt turn on. They found out it was a simple fuse. Unsure, our heater still works. Use them, I dont know. They were good. I wouldnt have an issue recommending them. They were very professional and knew what they were doing. They were really honest, did good work, and made things very simple. They were very professional. They wore shoe covers. I would use them again, which is the best recommendation. We had them do a new AC unit and furnace, which was long past due. They had great recommendations, options, and everything went smoothly. The inspector said their system passed the test with flying colors. They just knew what they were doing, very professional. It was a good service. They replaced our heater and air conditioning system, and it was all done in one day. Our heater went out when it was really cold, so we were using a portable one. They were able to come out the next day and replace it. I thought they were really good. They were able to find all of the parts that we needed to get the repairs done. They weren't the cheapest, but they got it done quickly, and they showed up to look at it. Very professional, and it seemed like they took very good care of us. They came out and gave us an estimate. The guy who came out to do the estimate didn't try to get us to buy a whole new system. Well, they are certified for all different types of work and issues that may come up. I can say that they have never let us down throughout the years. They have good, knowledgeable people. They stand behind their warranty. They are prompt and very responsive. The fact that they doubled the warranty, from 5 years to 10 years, which allowed me to replace my compressor. They were extremely responsive and there immediately. They were thorough, skilled, pleasant, and professional. Well, I would tell others we had a good experience with them. You can trust they know what they are doing. They showed up, which is a lot more than a few others we called. For as long as I can remember their number, then I would reuse them again. They did the job they said they would do. I called All Weather to help troubleshoot issues we were having with our thermostat and AC unit. They were able to send someone out right away and get the problem resolved. They got here quickly on a hot day.